Hello to of my Glamorous People! It’s the start of the weekend ahead, and everyone’s basically last work day of the week- so it’s no surprise a majority of us would rather spend the day having fun or save it for the evening after hours. Usually, it’s always the time to either dress up your look or play it up! For me, when Fridays roll around is where I usually like to play up my look with a casual flannel, a.k.a Flannel Friday. Flannels are best in the game and everyone’s go-to fashion item when one feels like they have nothing else to wear for the day. They come in all different colors and stripped-dimensions to choose from. The possibility is almost endless. The best thing about it is that they are comfortable, looks good on everyone, and they can be worn for all four seasons of the year. Here’s simple ways to dress and play up your flannel game for the day. The easiest and fastest way to pick an outfit, be out of the door for the day, AND still look good! To style this look, just put on a pair of jeans, some sneakers or boots, and some minimalist accessories like a watch or a scarf. Boom! You are good to go for the day. 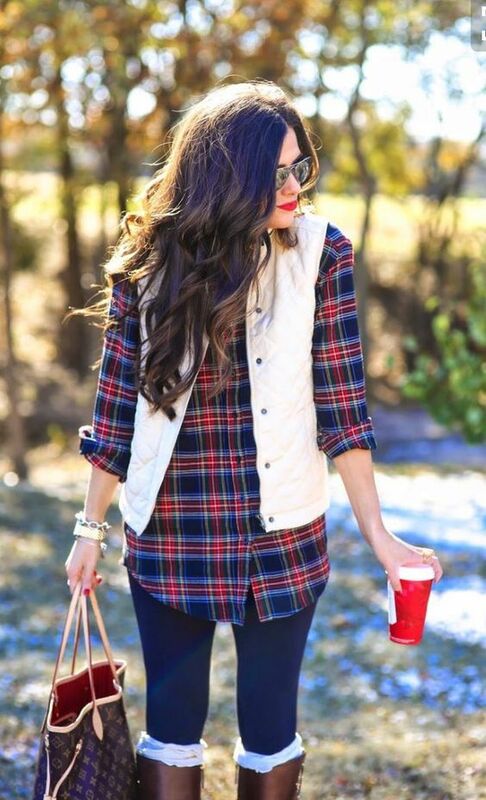 You can even wear it as a dress if the flannel is long enough! 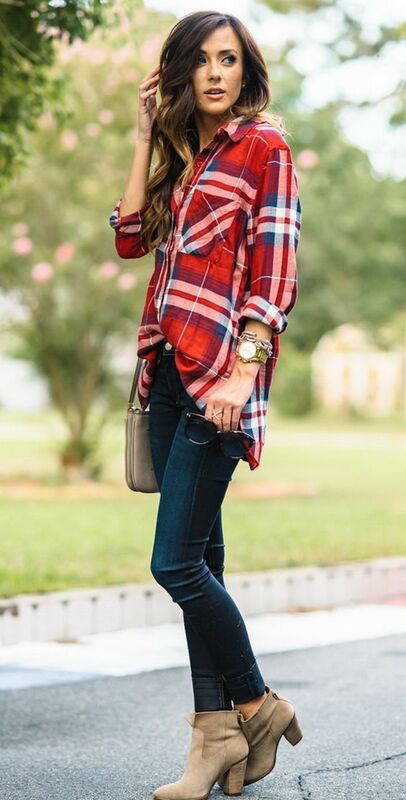 Tip: When wearing a flannel as a dress, pair it with over-the-knee style boots or short, ankle boots with the thick heel to make the outfit chicer. Or simply throw on some leggings (black’s usually the safest way to go) and throw on some pair of sneakers. This is another easy and fast look to add a little more casualness to the outfit. It’s almost as flawless as dressing the flannel by itself. 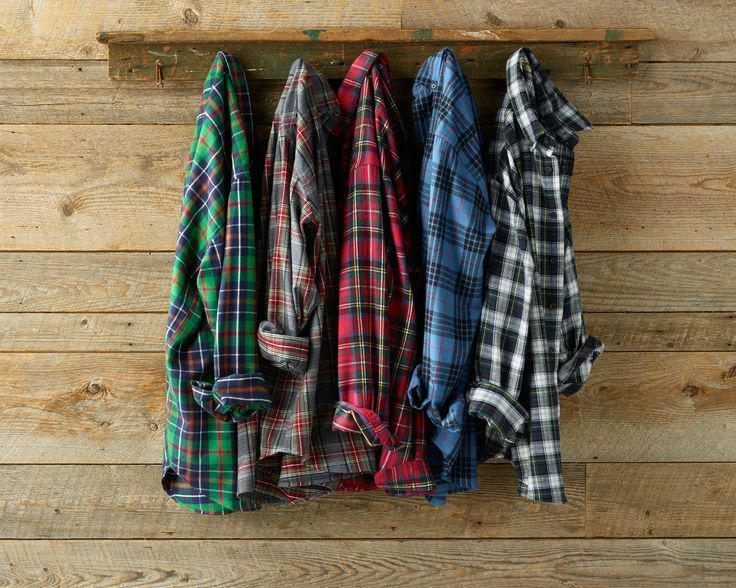 As an undershirt, you can stick with any color that correlates with the flannel. However, I suggest sticking with a neutral color such as white, black, or beige is always a safe way to go. For more of a rebel/punk feel, throw on a graphic tee! Too many options to pair with? Go with your favorite pair of jeans, sneakers/boots, and needed accessories to complete the look. What happens when the weather gets too hot to wear these long-sleeved plaids? Of course, you might want to take the flannel off…but where can you put your flannel if you don’t want to carry it all day? Easy- just the good ‘ole fashioned wrap-around-the-waist trick. 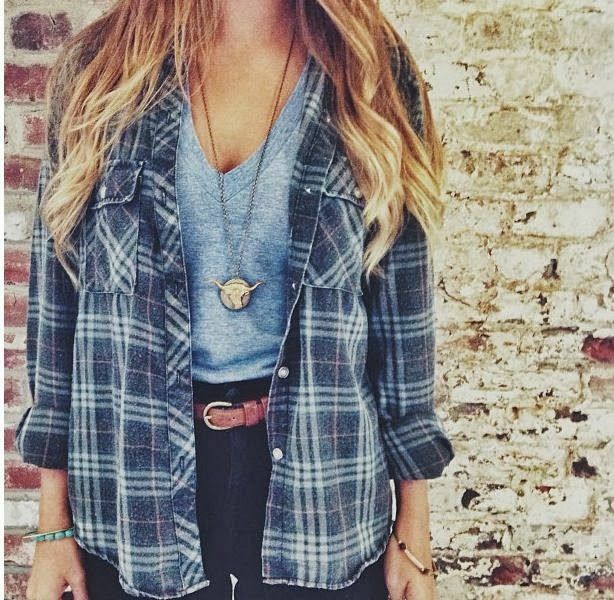 A flannel can be used as an accessory, not just as a clothing necessity. It adds a twist to your outfit and is one of the trendiest ways to wear it! 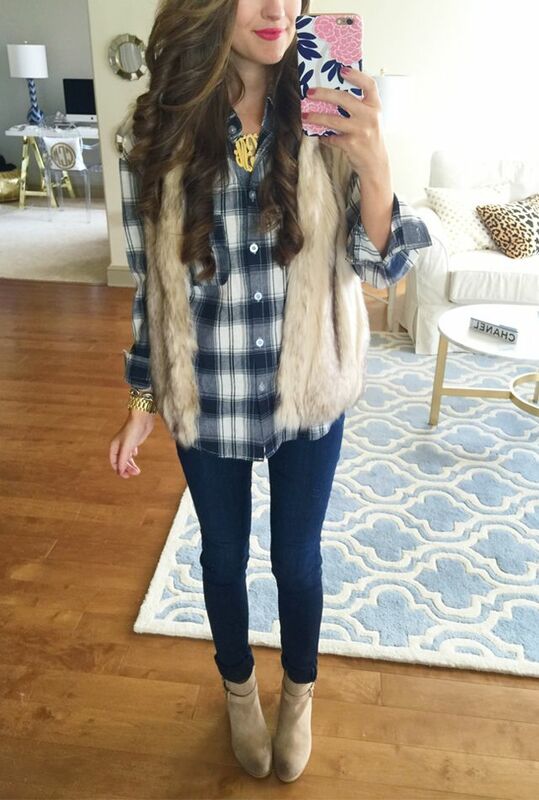 Pairing a vest can add a bit more of a fall and winter look to your outfit. It also looks really comfy as well as keeping you warm! 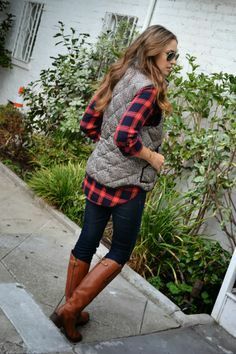 Tip: try opting for a puffy looking vest like the one shown above- it will really set the mood for the upcoming cold season. Speaking of the cold season, layering a flannel under a sweater or jacket is another option for adding more flair to your look. 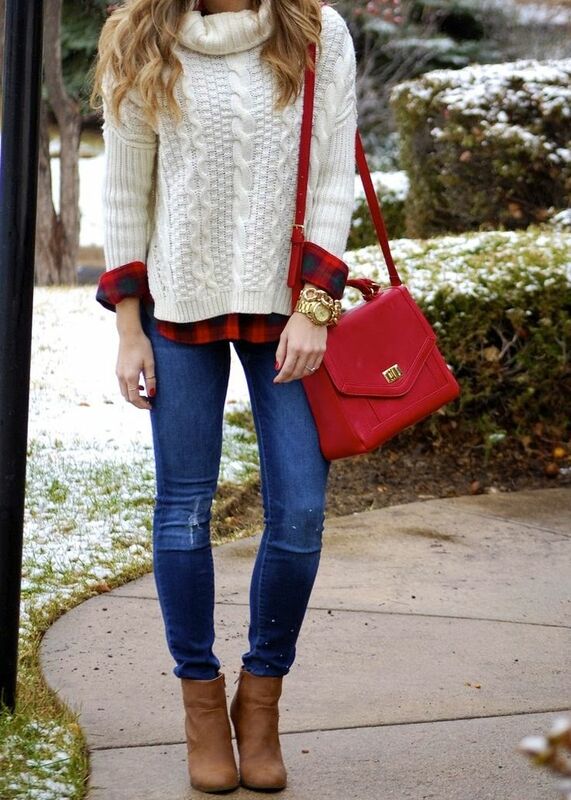 Layering flannels and sweaters will also keep you warm throughout the day. To add a bit of a school prep look, wear loafers and some classic jewelry. Just be sure to choose sweaters or jackets that match well with your already-distinct flannel. To all my Glamorous folks- how often do you wear your flannels and how do you like to wear them? Leave a comment down below! Or tweet a picture of your favorite flannel selfie to us @GlamorousPaper! Let us see how you’re rockin’ it this season! The fanny pack: a classic 1980’s accessory that was not only incredibly stylish, but also functional. 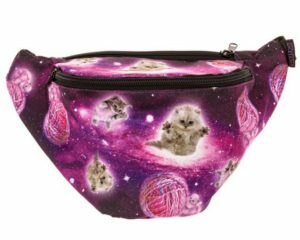 After falling to the wayside for a few decades, fanny packs are slowing creeping their way into mainstream fashion. With all the other 1990s and 1980s trends coming back into play (hello, Superstars! ), this is not suprising! Scrunchies made their revival a few years ago, we should have seen the fanny pack fever coming. Fanny packs are coming into mainstream fashion with full force. They’re a music festival and college frat party essential. 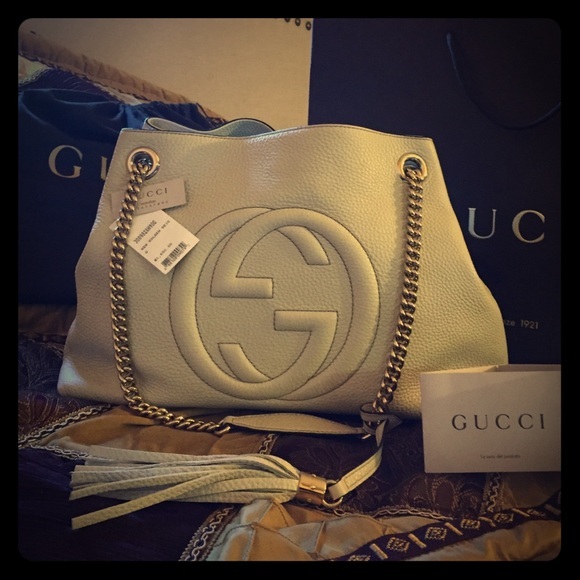 If something is a popular fashion accessory at Coachella, then you know it is hip and trendy. I personally own one that says party that you guys can see above. I also have a Texas flag themed one (#texasforever) that is a high school graduation gift from a friend. 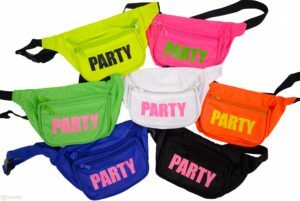 Consequently, the revival of the fanny pack will not be ignored with such a mainstream presence like this. Not only is the fanny pack undeniable functional, but it is a fashion statement in itself. Nowadays you can find all sorts of different fanny packs. There are ones with galaxy prints, American flag prints, monogrammed ones, and even clear ones to show off your valuables. Search for a specific type of fanny pack and you’ll most likely find it nowadays! Need a pineapple themed one for a Hawaiian luau? You got it. What about one with cats all over it? Don’t worry, you can find that too. With popular trends from the 1980s and 1990s taking over mainstream fashion, we can expect this fanny pack revival to last a little while longer. We’re not complaining though. Any fashion accessory that looks cute and can hold my stuff hands free is something I can definitely support. So Glamorous people, are you hopping on the fanny pack trend? If so, comment below and tell us about your fanny pack! Or even better, tweet @GlamorousPaper and show us your fav fanny pack outfit! Denim is a timeless staple in everyone’s closet. And by everyone I mean EVERYONE, Men, women, teens, young adults, even little toddlers in teeny tiny denim. 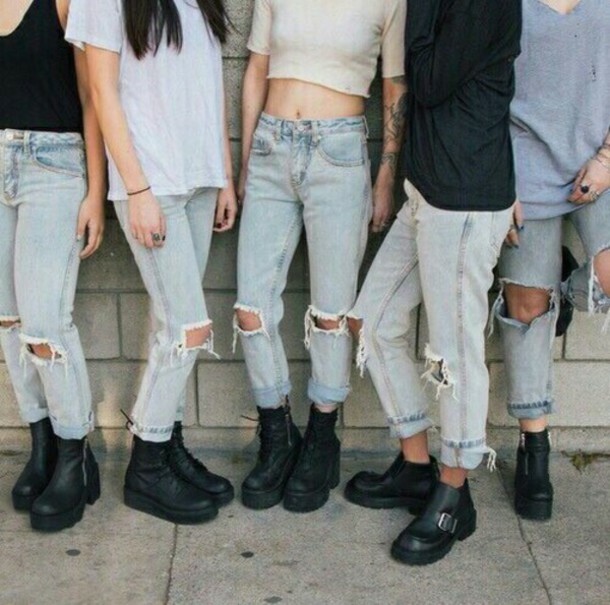 What makes denims so timeless is that it come in all types of clothing. It is also so versatile you can either go sophisticated or edgy with the right denim piece. Even celebrities like Rihanna or Beyoncé rock denim on their days off; Walking busy streets and treating them like their own catwalk. Where denim came from as a necessity during blue collar work has transformed into one of the most long-running fundamentals in the fashion history. With autumn arriving, that means school’s back in session. For this season, denim is heavily emphasized onto ’60s and ’70s style. This means we are seeing denim that ranges from classy, vintage, and a splash of bohemian, giving women a chic and mature look. To keep you glamorous people on trend, here’s some of the top leading denim trends for this Fall/Winter season 2016/2017. 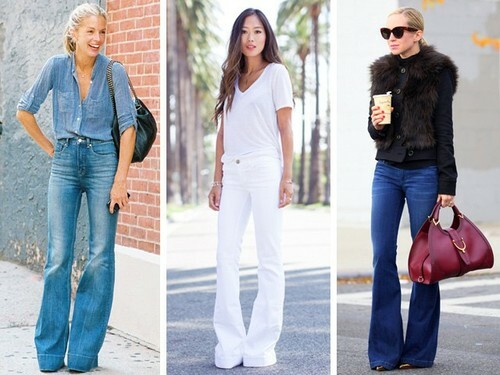 Flare jeans are back and here to stay a while. Used in both casual and professional wear, this style of jean can be used on anyone and worn anywhere. You can dress up your denim with a classy pair of wide leg jeans with heels, or for a more casual look go for a at the knee flare. 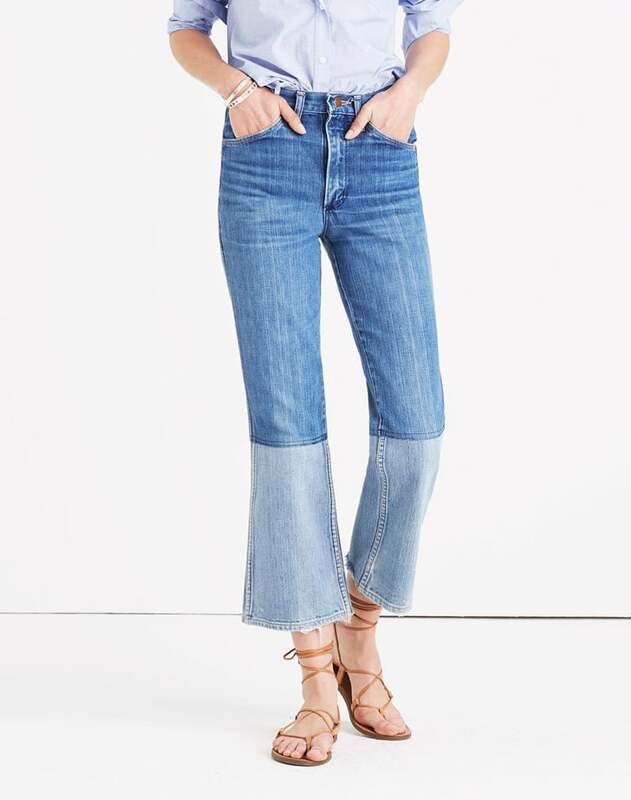 Another young and hip spin on the flare jean is the kick-flare trend which shows a bit of the ankle. Even though this a slightly bold route, you can still opt to make kick flares sophisticated. Worn by Kendall Jenner for this past summer, these two toned jeans add dimension to any outfit. Don’t be wary of this “Canadian Tuxedo” in a single pair of pants. I promise you’ll be on point while rocking these jeans. To my dedicated trendsetters, I highly recommend investing in a pair of these jeans to play with during this fall season. Another trendsetter for this season is the patchwork denim wear. Much like the two toned denim, patchwork allows a denim spin on the technique of color blocking. This array of mix-matched patterns of different denim tones provides dimension to the wearer. Through this dimension, you get to show off your fabulous personality and fun style. Last but not least, a classic denim look that is always back in season, the skinny jean. A favorite for a majority of people, skinny denim is seen, worn, and adored everywhere. This trend has been on the rise for the past nine years and has transformed into a staple for fashionistas all over the world. Whether you rock your skinny jeans at ankle length, with rips in the knee, or with a pair of chunky ankle boots, these jeans are versatile for any outfit! “What Does a Queer Pop Star Look Like in 2016?” This was the title of an article written by BuzzFeed, recently criticizing singer, Halsey, for her performance with the Chainsmokers at the MTV music awards. The performance featured Halsey in a sparkling white two-piece with a long brown-haired wig over her normally short, punk cut. For many of Halsey’s fans, it was yet another way that she was expressing herself- in her usual unrestrained and in-the-moment attitude. But, for critics, it was just “too straight” to accurately represent Halsey’s “gayness”. Halsey, who has made her career on being honest and entirely open with her fans, has never been quiet about her sexuality. As an openly bisexual female, Halsey has been paving her own way through the music industry. Make no mistakes, there have been openly gay celebrities in the past. Melissa Ethridge and Elton John being two of the most memorable. That doesn’t make Halsey’s road to success any easier, though. For someone who has promised to be her true self, discovering that ‘self’ and becoming confident with that ‘self’ can be scary. Not to mention when you have the world watching and waiting to judge every step of your journey. All young, female pop stars are pressured to meet a certain standard to appeal to the larger audience. One could argue that Halsey’s concerts and performances with her fans are a more intimate and safe place for her to be herself. Yet, the VMAs stage is an entirely different world. Its like going to a restaurant with a dress code after years of lounging around at your local pub. The change of clothes and hair doesn’t change who you are as a person. And they certainly shouldn’t encourage people to question your sexual identity. The finger pointing does nothing to take away from the ignorance of their assumptions. If anything, it only adds salt to the wound. Who is to say that Halsey didn’t make the choice in wardrobe, hair and physical interactions entirely on her own? For a singer who has been bravely honest with the world, why would she jump ships so suddenly? An early report of the incident by Teen Vogue caught Halsey’s initial response to the BuzzFeed article via Twitter. She has since deleted the outspoken responses from her page. Maybe she decided that the article spoke for itself, or maybe she was confident enough in her own peace of mind to let to the article’s flame burn out on its own. But, the damage is already done. The bierasure has been unleashed on the unsuspecting singer, and could have a profound effect on her impressionable fans, out-bisexual individuals and curious ones, as well. Is there such a thing as not being gay enough (not looking gay enough)? No, but BuzzFeed’s blissful ignorance and drama-seeking headlines have those of us who are openly gay, and feminine, questioning how our femininity is received, even by people in our own LGBT community.